Following the War of the American Revolution, those who had remained loyal to the British felt compelled to leave the newly independent United States. While most settled in what is now Ontario, Nova Scotia and Quebec’s Eastern Townships, some moved to the Gaspé Peninsula of eastern Quebec. This is a region of interior forests and mountains and of fishing villages along the Gulf of St. Lawrence. 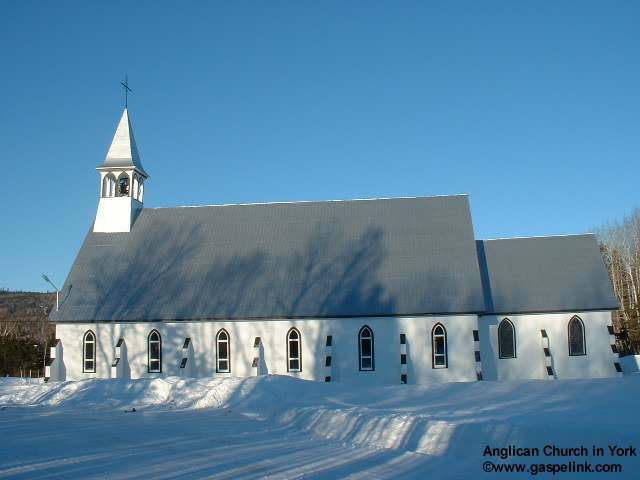 The newcomers settled in towns and villages such as Matapédia, Bonaventure, Percé, Gaspé and New Carlisle. Their neighbours were of French Canadian, Acadian and Micmac ancestry, and most were Roman Catholic. The newly arrived English-speaking, Protestant Loyalists needed their own places to worship and to record their births, marriages and burials. At first, these needs were met by Anglican, Presbyterian and Methodist missionaries, but eventually the newcomers built churches of their own. This compilation lists the churches they founded and the ministers who served the English-speaking community. It guides the genealogist to the various places where their records are kept, including government and church archives, and the library of the Quebec Family History Society. The compilation also mentions the records of the Gaspé residents who came from Jersey and Guernsey, in the Channel Isles, and the early settlers from Scotland. The introduction pays tribute to two individuals who researched and documented the lives of the English-speaking residents of the Gaspé, Kenneth Annett and David J. McDougall, and tells researchers where to find their work.